Some would look at Saturday’s game with Middle Tennessee as a trap game for No. 3 Georgia, because it’s sandwiched between two SEC road games. It’s a logical argument, but the 1-1 Blue Raiders still shouldn’t be an issue for the 2-0 Bulldogs in this noon kickoff (TV: ESPNNews). The Bulldogs looked great in their 45-0 win over Austin Peay and their 41-17 victory at South Carolina, justifying their lofty ranking. There should be more big things this weekend before the Dawgs travel to Missouri next week. Georgia’s defensive front is very good, so it’s odd that the defense has posted only two sacks in two games. That’s a number that needs to grow, and soon. Starting this week, please. As a whole, the line is playing well, and it has been great at stopping the run. But to have only two sacks on 71 pass plays is surprising. It’s time to pick that up, because when SEC play gets hot and heavy, keeping opposing quarterbacks uncomfortable is going to be important. 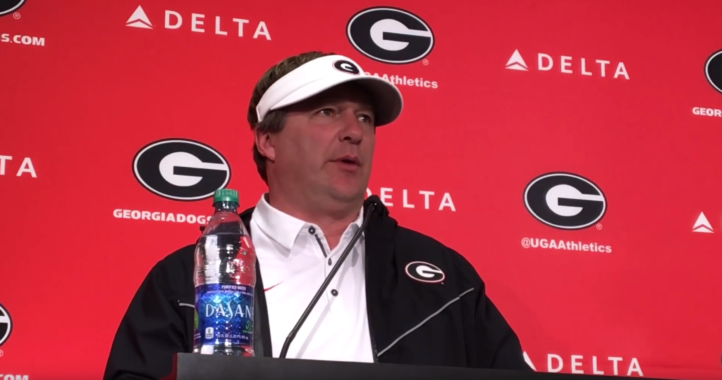 I’m not rooting for a quarterback controversy in any possible way, because I’m on record as saying I think Kirby Smart has handled all of this perfectly. Jake Fromm has been great and deserves to be the starter. He played most of last week’s SEC opener against South Carolina, and we didn’t see Fields until the outcome was no longer in doubt. It should be different this week. And I am so curious to find out just how good the freshman is, and how good he is going to be. This game should get out of hand early, so hopefully we’ll see more of Fields. Middle Tennessee has been known to scare people, even though they didn’t do it in the opener when they got thrashed by Vanderbilt. Still, it’s worth being careful here because quarterback Brent Stockstill is a fifth-year senior who has been around the block a time or two. He has already thrown for 9,424 yards in his career, and that’s despite missing six games last year with a knee injury and three the year prior. He has beaten Power 5 teams Syracuse and Missouri in his career, so it’s important that Georgia gets after him early and knocks those upset thoughts out of him. He can be dangerous, as evidenced by his 407 yards passing last week with five touchdowns against Tennessee-Martin. We’ve seen a lot of big plays from Georgia on both sides of the ball so far, and that’s a very positive trend to start the season. It’s not surprising, with all that talent on the roster, but it is still nice to see them respond early. Now, keep it up. 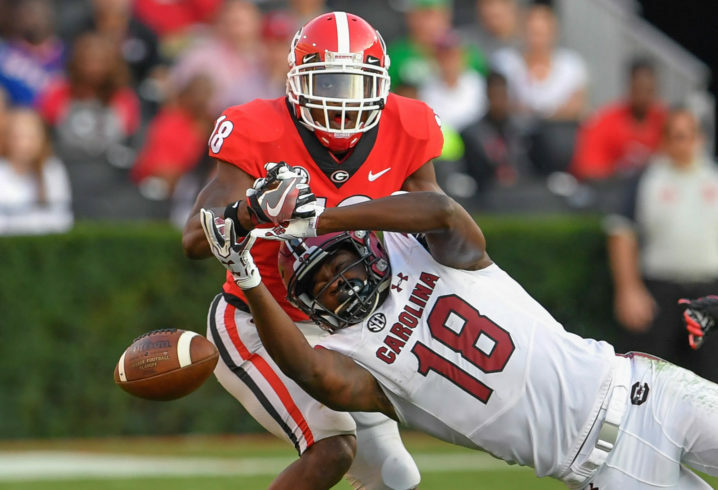 We’ve seen a long interception return by Deandre Baker (55 yards, though we wish it had been a yard longer), long runs by Demetris Robertson (72 yards) and James Cook (36) and a long reception by Mecole Hardman (59 yards). Just keep it coming. All this explosiveness is fun to watch. The Bulldogs haven’t had a chance to show off all their speed on special teams yet, mostly because of a lack of opportunity. For instance, last week against South Carolina, they didn’t return a single kick or punt, which is rare. They returned only one kick (24 yards) and three punts (for 9 total yards) in the opener. With all that talent back there, the Dawgs can score a touchdown on special teams anytime they get the chance. Will this be the week that they get to break one? Tom Brew is an award-winning journalist and author who is covering SEC football for Saturday Down South. I’m gonna go out on a limb here and say that it’s gonna be windy and rainy for this game. Three things I wanna see from the Dawgs this weekend………. 1) 1st quarter = Jake Fromm, Deandre Swift and the first team. 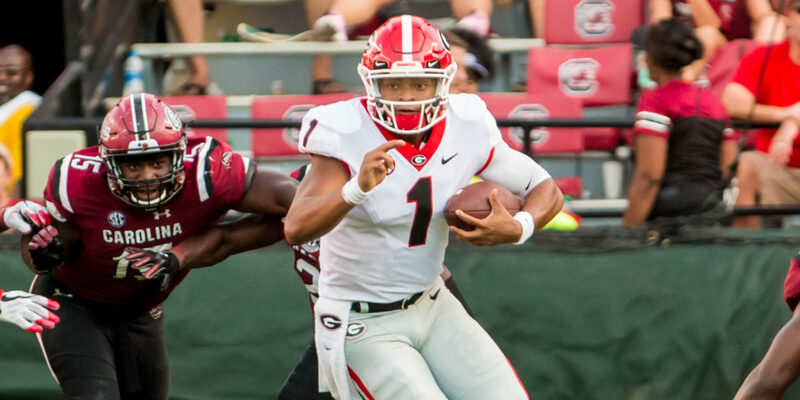 2) 2nd and 3rd quarters = Justin Fields, Holyfield, Herrien, and the second team. 3) 4th quarter = Matthew Downing, James Cook, and the third team. With the noon kick we might be fine weather-wise. It’s not really supposed to start raining until later that evening. Good – Justin Fields can get in some target practice. Definitely need to get him a piece of the action. Nothing but blue sky around north east GA today and that storm is moving slow. The weather will be fine. I want to see Brenton Cox get a sack. He’s been very disruptive in the backfield already. I don’t want to see any injuries. Burn clock and move on to Missouri. Let the starting O-Line play the 1st qtr then pull them. Play 2nd and 3rd string for remander of the game. Target the TE’s 10-15 plays. Keep the offense in scoring mode the entire game so as the give the reserves some “real World” experience. Tell MTSU no offense intended but we intend to get $1.7 mil worth of practice and experience. They did return a punt last week. Akhil Crumpton got something between 5 – 10 yards and made a few really quick and shifty moves. And when he got the sideline Kirby was there to tell him to never return a punt like that again. That’s because he would’ve gotten cremated in the SEC. The gunners were far too close for it to be returnable. Not SEC, but like, upper tier SEC. Auburn, Alabama, etc. Never mind. He just got too lucky. 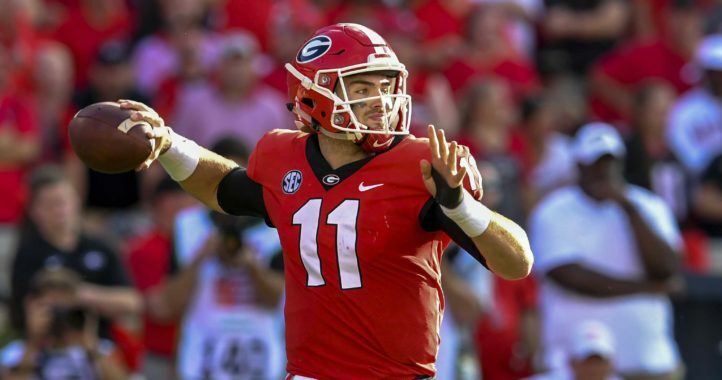 I’m still not completely sold on the idea that Fromm is a better qb than Justin Fields and the idea that Justin has no experience because neither did Jacob Eason nor Jake Fromm when they played. If they can handle the spotlight as a true freshman, so can the #1 player (Justin Fields) in the country. Seeing is believing! The pass rush has been disappointing and from my viewpoint, they don’t get off blocks very well. I would like to see Adam Anderson and Quay Walker thrown into the line of fire to see what they can do and I’m anxious to see what Channing Tindall and big Jordan Davis can do. Cade Mays and James Cooks should be starters in my opinion. Kirby has made it clear that we must,first and foremost, stop the run. Win in the trenches first then we work on skillfully rushing the QB. If even if we do not any sacks, the goal is to disrupt the play whether it’s to knock down passes or get some kind of pressure up front. That’s what we have to do. Exactly. Stopping the run is Kirby’s #1 objective and they do that quite well. At some point someone will emerge as a good pass rusher and having 2 good CBs definitely helps.